Nov. 28, 2017 12:45 p.m.
North Korea abruptly ended a 10-week pause in its weapons testing Tuesday by launching an unidentified missile into the sea, South Korean, Japanese and U.S. officials said, in a move that shuts the door for now on the possibility of a diplomatic opening. 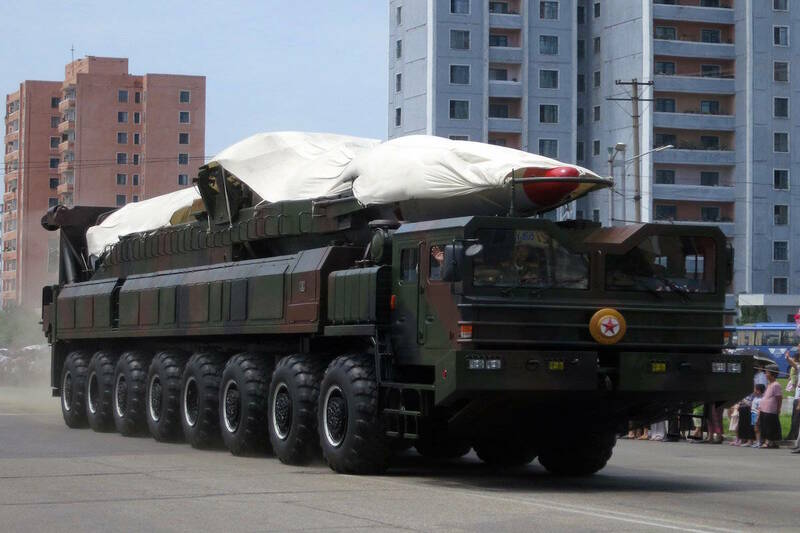 Seoul’s Joint Chiefs of Staff said the U.S. and South Korean militaries were analyzing the launch data from the missile, which was fired from an area in Pyongsong, a city close to North Korea’s capital. In response, it said South Korea conducted a “precision-strike” drill, without elaborating. 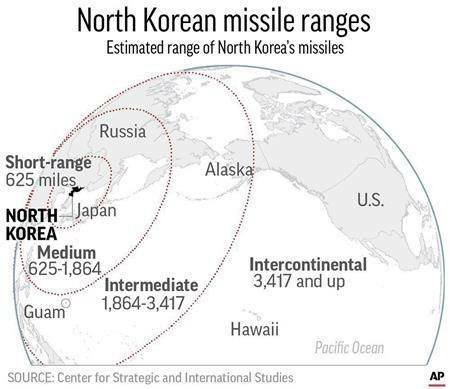 The launch is North Korea’s first since it fired an intermediate range missile over Japan on Sept. 15, and appeared to shatter chances that the hiatus could lead to renewed diplomacy over the reclusive country’s nuclear program. U.S. officials have sporadically floated the idea of direct talks with North Korea if it maintained restraint. A week ago, the Trump administration declared North Korea a state sponsor of terrorism, further straining ties between governments that are still technically at war. Washington also imposed new sanctions on North Korean shipping firms and Chinese trading companies dealing with the North. North Korea called the terror designation a “serious provocation” that justifies its development of nuclear weapons. Early Wednesday in Japan, Chief Cabinet Secretary Yoshihide Suga echoed the claims from Seoul that North Korea fired an unidentified missile. He said it landed in the Sea of Japan, possibly within 200 nautical miles of the Japanese coast. He called the provocation unacceptable and said Tokyo has filed a strong protest. Trump didn’t address the launch when asked about it while visiting the Capitol on Tuesday. The Pentagon’s initial response was to call it a “probable” missile launch. Col. Rob Manning, a spokesman, said the Defence Department assessing the situation and has no further information to provide, including what kind of missile may have been launched. Trump has ramped up economic and diplomatic pressure on the North to prevent its development of a nuclear-tipped missile that could strike the U.S. mainland. Tuesday’s launch came as the U.S. discussed with South Korea next steps on North Korea. The South’s top nuclear negotiator Lee Do-hoon was in Washington for talks with his Joseph Yun, the U.S. envoy for North Korea policy.